In 1645, the English Civil War drags on, but another danger lurks in the seemingly quiet countryside – one that will claim the lives of hundreds of women. Newly widowed and pregnant, Alice leaves London for the house and mercy of her estranged brother, Matthew. Her return home quickly sours; the small Essex town, once quiet and peaceful, is now tense with fear and suspicion. While surprised that witchcraft is the cause of such frenzy, Alice is shocked to find that her brother is leading the hunt. Disturbed by Matthew’s obsession, Alice tries to stop him, only to realize Matthew has already placed her at the center of his plans. What can she do to save the innocent from her brother’s holy wrath? I loved this book! A tense, simmering historical thriller, this book puts you right in the thick of this hostile period in history. 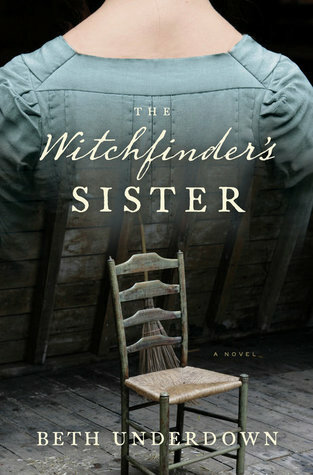 I especially loved the author’s decision to tell this story from a woman’s perspective, as it gives readers an immersive experience given Alice’s relationship to a chief instigator of the witch hunt and since women were his victims. Alice too, is a victim, first of circumstance and then her brother: a vulnerable pregnant widow, having little choice but to gamble on an estranged brother’s goodwill for her survival, only to get herself caught at the crux of political and religious tensions that give free reign to Matthew’s obsessive hunt. With Alice as the narrator, the reader’s suspense is all the more heightened. Alice is almost a surrogate or avatar for the reader; like us, Alice enters the story as an outsider. And while she gains inside information, she mostly relies on rumors to try to understand what is happening. Helpful hint: A map is provided and there are historical notes at the end, but you might want to have Google nearby for quick reference if you’re not familiar with the history of witch hunts and/or the English Civil War. But you don’t need to be a history buff to read this book! Settle down with a hot drink on an overcast, rainy day, and enjoy!